Ethan at the 757Labs booth at MADExpo. Ethan is discussing 757Labs to attendees at Mid-Atlantic Developers Expo in the Hampton Roads Convention Center. Slide-show of the Lab and past projects, LED Cube on display, development progress of the Laser Pong, and Space Balloon box. 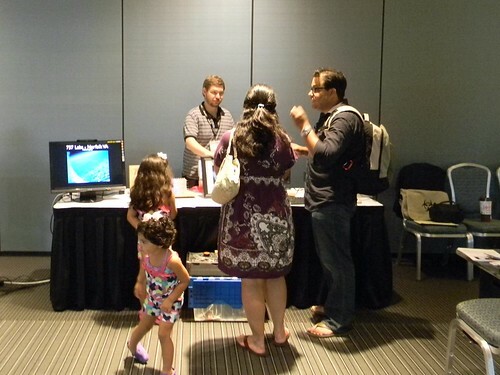 MADExpo was a great convention for a first run and we currently plan to return next year. Mike and the Drum Circle at Art|Everywhere closing. Mike runs the Drum Circle on display at the Art|Everywhere closing event off Granby Street in Downtown Norfolk. 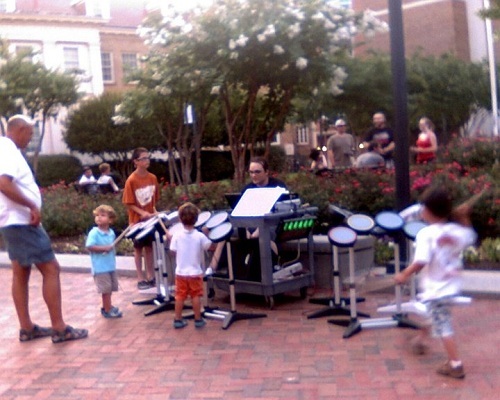 Kids were scrambling at the chance to bang on the drums and have a good time while enjoying the weather. Some buttons on the drums gave the player a toggling ability to change instruments and octaves, adding to the chaos and entertainment of those who stopped by. 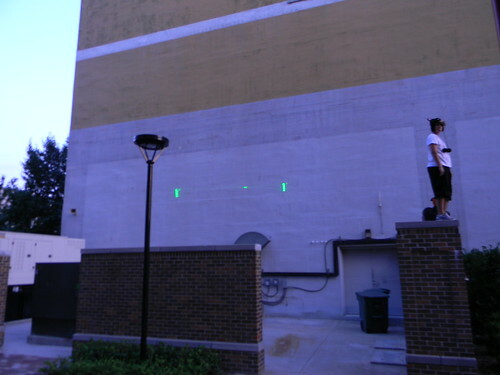 Laser Pong on display at the Art|Everywhere closing. The Laser Pong game was set up next to the TCC building and had a handful of the young and old stop by and play some Pong, 757Labs style. There are still bugs to be worked out, but it added to the quirkiness of the game and was entertaining to many. The hope is to re-platform the game to remove the Linux system reliance out, leaving only Arduinos. Expect an interesting twist to the game in the future!